How to Make a Kitchen Chair Seat Cover | Do-It-Yourself Advice Blog. Kitchens are often the center of our homes. With family coming and going, cooking, and eating meals, we spend a lot of time in our kitchens. If your kitchen starts to feel stale after awhile, you can quickly liven it back up with color and fresh accessories like fabric seat covers for your chairs. Making your own seat covers is an easy upgrade you can do yourself. We’ve put together a step-by-step video to show you how to measure, pattern and create your own chair covers. Making your own chair covers allows you to create a perfect fit with a tailored look by patterning right on your chair. After you make one cushion, create a permanent pattern to easily create more covers for whole your whole dining set. 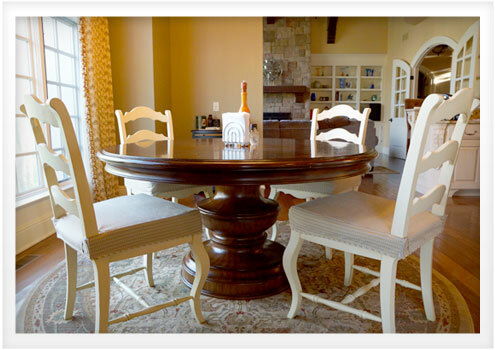 Our chairs have a smooth rounded look with piping trim, but covers can easily be customized to suit your style. For example, make the cushion more angular and skip the piping for a more modern look. As an added feature, we included a Velcro closure at the back of the cover. This makes removing the cushions for laundering effortless. You can also swap out the cushions seasonally for a rotating style. If your chairs could use some extra padding, add a layer of Nu-Foam densified polyester batting between the chair and the cover. Instructions for patterning and cutting the foam are included in the video. All of these materials and more can be found a www.sailrite.com. Do you change things around your home seasonally for a fresh feeling? 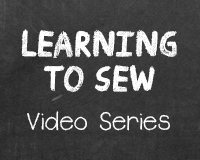 Pingback: How to Make a Chair Pad | Do-It-Yourself Advice Blog.